On this viewing, it especially resonated for me because I realised that aside from showcasing some of the best aspects of the cinematic form. It also served as a tonic, and a reminder of the power of cinema. It particularly struck me this time, because I have been in a slight apathetic malaise about cinema recently and was trying to find a film to shake me from this temporary state. Kane did this. The mystery became absorbing again. Welles`s camera moves, fascinated me even more. And the story, a reporter`s attempt to find the meaning of Kane`s last word- “Rosebud” gripped me in a state of perpetual curiosity, as though I was viewing the picture for the very first time. The picture`s central question, can you sum up a man`s life with one word, is quite interesting and haunting. It seems quite timely given the influx of celebrity culture and people supposing they know a celebrity based on a media portrait. Welles`s answer seems to be no, given the reporter`s final words in the last scene. But, if this is true, what was the point of the journey, if we hardly, got to know about Kane, by the film`s admission. I think Welles is trying to advocate the view that the sum of a man`s life is made up of wholly different and varying degrees of perception. For example, Kane`s second wife- Susan Alexender perceives her husband as someone who does not truly love her and ultimately a lonely person. Whereas, Jedediah Leland, Kane`s best friend- saw Kane as a self-absorbed person who did not love anyone or anything aside from himself. But, what counteracts this thesis, is Welles`s telling last shot, which depicts a sled called “Rosebud” being cast into the flames by Kane`s butler. Is Welles telling us the true meaning of Kane`s character in this last shot, or is it mere dramatic irony that is thrown at the audience at the last second? 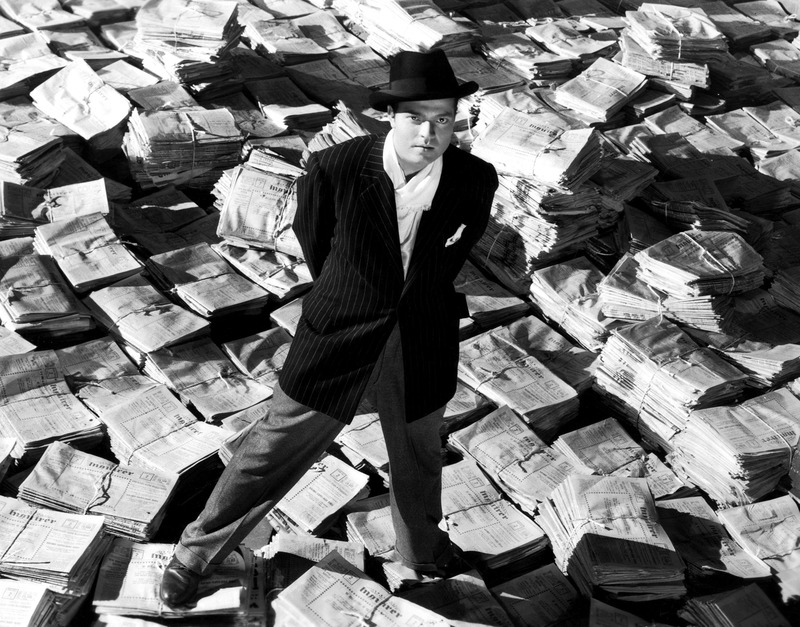 It is one of the many reasons why Citizen Kane still continues to enthrall fans of the cinema around the world, and I suspect this is not my last word on the picture.